More of the colors ideas for Netting Fun bracelet. 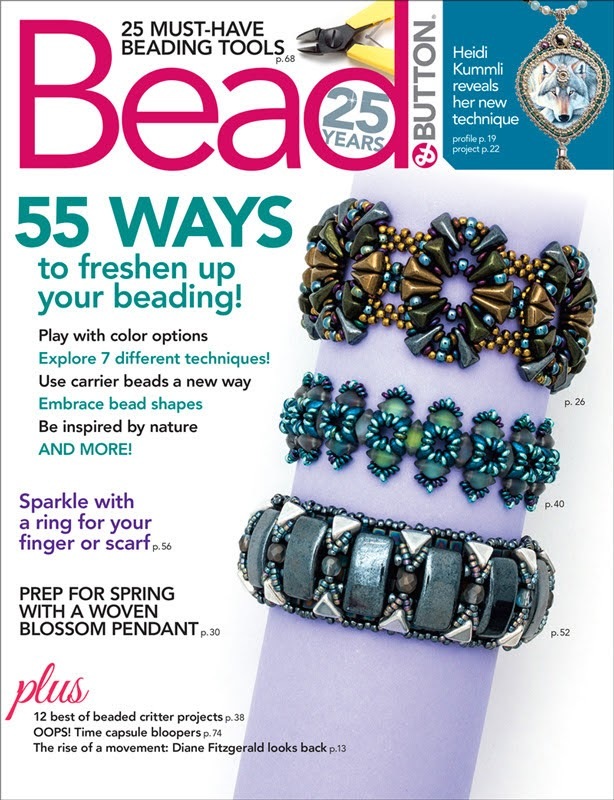 The pattern can be found in Bead & Button, Feb 2019. Checkout my previous post for the color list I used in the magazine. I love this design. It's a good netting stitch practice for beginners. You don't need any fancy new shape beads. Just some basic beads you should already have them in your beads boxes. You can even use some leftover beads and mix your own rainbow colors. 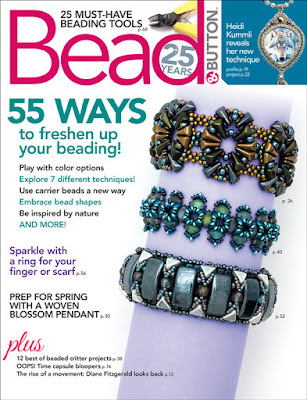 You can find my new patterns, Netting Fun bracelets in Bead & Button, February 2018. I think I have problem with scrapbooks. Look like most of my old photos won't load or gone missing. It will affect most of my early tutorials since 2012 and earlier, you won't see photos. It will take a while for me to upload new photos to other hosts. I'll try to fix it asap. EDIT : Fix now. Thanks LJ. This cartoon shows the way of shaped brick stitch when the thread is almost invisible. May. 21st, 2015 @ 09:13 am Как из камешка сделать кулон - сверлим камень в домашних условиях. Оригинал взят у koaty в Как из камешка сделать кулон - сверлим камень в домашних условиях. Как сделать сквозное отверстие под шнур в камне. Видео матер-класс. And I'd like to show you how to weave my favourite European butterfly - inachis io. You'll need some fire-line, a beading needle size 11-15 and 17 colours of beads size 11.